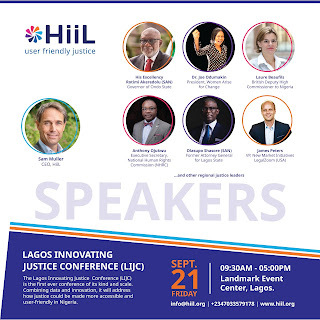 The Lagos Innovating Justice Conference is just tomorrow, Friday, 21st September, 2018. Thank you for registering to attend. Major players in the justice and legal sector will be gathering to share deep and valuable insights. Some of the confirmed speakers are; Gov. Rotimi Akeredolu SAN - Governor of Ondo state and former NBA President, Dr. Oby Ezekwesili - Co-founder Transparency International and Senior Economic Advisor to the Africa Economic Development Policy Initiative, Olasupo Shasore SAN - Former Attorney General of Lagos state, James Peters - VP New market initiatives Legalzoom, Laure Beaufils - British Deputy High Commissioner to Nigeria, Dr.Joe Odumakin - President Women Arise for Change, Adeniji Kazeem - Attorney General &am p; Commisioner for Justice Lagos state, Yetunde Longe - Deputy Commisioner of Police Lagos State and many more. Also, some of the best innovators from the 2018 Innovating Justice Challenge will pitch their justice innovation at the conference. Please note that the dress code for the event is Business Formal Attire. Registration/check-in will begin at 8:00 am and the event will begin promptly at 9:30 am at Landmark Event Centre, Oniru, Victoria Island, Lagos. 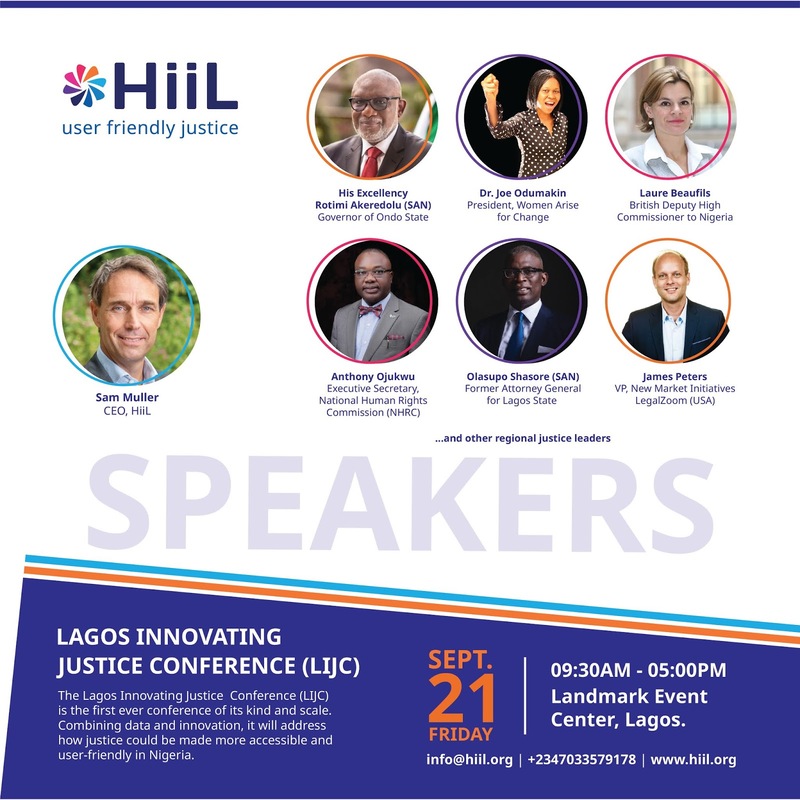 You don't want to miss this historic event which will serve as a cornerstone of the Lagos justice innovation community for years to come.